A synoptic and critical study of “The Age of American Unreason” by Susan Jacoby. To read “Blogging American Unreason” in order, see my series page. Jacoby starts this chapter with a look at Ralph Waldo Emerson’s speech given on August 31, 1837 to the Phi Beta Kappa Society entitled, “the American Scholar”. In addition to that year’s graduating students of Harvard College, the audience also included such icons of American intellect as Henry David Thoreau, Oliver Wendell Holmes and Horace Mann, among others, who would all remember Emerson’s essay as a groundbreaking moment. She explains that this essay was a call for intellectual independence to liberate the young nation from its feeling of inferiority to European culture. However, it was just this European culture, notably the learnings and the philosophies of the Age of Enlightenment that gave birth to the country’s then unique democratic foundation and provided its current cultural resources. But to Emerson, the time had come for America not only to stop listening to the “courtly muses of Europe” but also to nip in the bud an already present American tendency to “aim at low objects”, manifested by a pervasive distrust of too much learning in the budding population of Americans, who, in their vast majority received only enough learning to make them functional. Jacoby further explains how Alexis de Tocqueville philosophized that the roots of the lack of a distinctly American culture were to be found, not in democracy itself, as many of his European counterparts proclaimed, but in its history as a British colony, which offered the advantage of access to culture. This spared the young country from the pursuit of intellect, while at the same time preventing it from “relapsing into barbarism”. As Jacoby states, “this was precisely the quasi-colonial dependency that Emerson was assailing”. Jacoby points out that Emerson’s audience was the first generation of Americans that had grown up in a country where independence was taken for granted. Indeed, the proceeding generations, that’s to say the founding fathers of the United States, counted many cultivated men, formed either through higher learning or self-education: Thomas Jefferson, James Madison, Benjamin Franklin, etc. For Emerson, Jacoby explains, these men exemplified the ideal of, “’Man Thinking’—as opposed to what he considered the degraded idea of a scholar as a ‘mere thinker’—a truncated specialist in no way superior to a ‘mere’ mechanic (…)”. How then, did an anti-intellectualism manage to take hold in this young country, formed on the very idea of rationalism and enlightenment? Despite Emerson’s moving essay and despite the intellectual solidity of most of our Founding Fathers, another force was taking hold during this same period: the Second Great Awakening. The secular ideals put forward by the Founding Fathers and the American intelligentsia of this time period were confronted most importantly by the influence of the Second Great Awakening in an America still finding its balance point, explains Jacoby. If this wave of religious fundamentalism managed to take hold in the early United States it was because the post-war religious landscape was not the world of peace and benevolence often promoted by conservative history. (NB: Jacoby notes in this chapter that the word “fundamentalism” entered the vocabulary in the 20th century; despite this she will use the word to describe any case of religion based on a literal interpretation of the Bible. I will do the same). Jacoby emphasizes that according to most estimates only 10% of Americans were members of a religious denomination in 1790. Those that were were usually New Englanders; rural, southern and frontier areas had even lower percentages of religious participation. At this same time in New England and the more learned pockets of the central states, American Freethought, an intellectual movement and philosophy that puts reason and logic at the heart of beliefs and knowledge, although never a major current as Jacoby explains, did have favor among those who would frame the Constitution and thus they would establish a, if not real, at least institutional, separation of Church and State. It is important to point out here, as Jacoby does, that the Constitutional separation of Church and State was also strongly supported by religious leaders of the day, who believed too that States had no business in the house of God and vice versa. This combination of secular ideals and freedom of religion set the stage: from 1790 to 1830, more than half of the Congregationalist churches in Massachusetts, Jacoby explains, would convert to a more moderate Unitarian approach with a flexible, rational-based interpretation of the Bible. In addition, the liberties given to religion and the peculiar needs of different regions of the country would lead to an explosion in protestant denominations in the early 19th century. Despite this, fundamentalism was in no way dead and there was a real desire in certain religious leaders to go save the souls of all these heathens (that in actuality, never were; as Jacoby explains, although secular forces were at work, and religious participation was low, true atheism was probably non-existent during this time period). 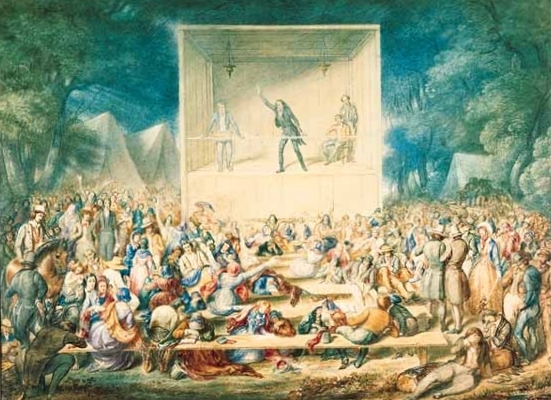 Jacoby points out that fundamentalist religious preachers of the second Great Awakening would not accept themselves nor pass on to their flock any learning that contradicted the Bible, believing—surely much more truly at this time in history than today—that such things would endanger their salvation. Thus was instilled in many regions of the young America, “a deep suspicion of any learning, and institutions of learning, not subject to church supervision”, says Jacoby. To worsen even more the case for intellectualism and rationalism in the fledgling country, the bloody horrors coming out of the French Revolution and the Reign of Terror, steeped in Enlightenment principles, further strengthened the role of religion—and fundamentalism in particular—as a keeper of social order. This was true in the North and the South as Jacoby explains, but was particularly important for the latter because of slavery. Indeed, France had just lost the colony of Haiti after the violent uprising of slaves there. One can easily imagine how difficult it must have been to manage this state of secular and religious contradiction, especially in a newfound nation comprised of largely self-governing states, each with their own agendas. One of the most pressing questions was how to assure the future of the country, in other words, how were they to teach the kids? The creation of an education system for the young Republic was caught in the maelstrom of these two main currents, but also effected by other influences of this turbulent and troubled time in history. Jacoby points out that the Constitution makes no mention of education, and support for a nationalized system was a minority current among politicians, albeit an illustrious one comprising such individuals as Benjamin Rush, Noah Webster, James Madison and Thomas Jefferson. The idea of a nationalized system had several factors working against it, Jacoby explains. A non-negligible influence was again the bloody news coming from overseas during the French Revolution. The enlightened ideals for educational reform being put forth by the marquis de Condorcet were put into the same basket as the politic of violence of the Reign of Terror. For many Americans of the time, the Enlightenment principle of governmental obligation to provide education for the people was perceived as part of the violence itself. Also, the nature itself of the United States was an additional factor against a nationalized system, says Jacoby. Indeed the increasing size of the United States, the constitutional deference to the States’ right to local governance, the influence of local prerogatives, not too mention the opposition to general taxation present in the US psyche since day one were all rubbing points for a nationalized system. But, the primary obstacle was, as Jacoby suggests, religion. In the early United State, the financing of what where then called common schools—the equivalent of today’s high schools—was hampered mainly by state laws that allowed public financing for religious education, she explains. But the influence of the Second Great Awakening would have the ironic effect of being the motor behind the integration of secular programs in the North. Indeed, the arrival of the Second Great Awakening in a land where there was no government intervention in religion resulted in a plethora of religious denominations. It became apparent that giving too much financial control for education to a single denomination was not workable in such a diverse landscape and thus the idea of secular, state-funded education began seeing the light of day in the northern States. The first state to do this was Massachusetts, where in 1837 the first state board of education was established, under the direction of Horace Mann. God and religious learning nevertheless remained in the educational system, albeit in a homogenized version, as Jacoby explains, for a very long time, even into the 20th century in some southern and rural areas. Despite this, she continues, a distinctly secular curriculum was eventually created. Thus the ideal of general taxation was finally integrated in the American psyche, but it remained under the control of state governments. The result, Jacoby underlines, was huge regional inequalities. The winner was the North, where Enlightenment, rationalist ideals had managed to survive the onslaught of anti-rationalist forces. The loser was the South, where fundamentalist religion and the particular social situation created a vicious circle of intellectual poverty. The major handicap in the South, Jacoby says, was the planter aristocracy’s belief in the innate superiority of whites over blacks. In the South, she goes on, just being white was good enough; and if you were black, well, you just didn’t count in early 19th century southern America. Jacoby contends that the growing disaster-in-the-making could have been averted toward the end of the 19th century, with a policy of federal assistance to the South. Although various legislators stepped up to the bat for this, their proposals fell on deaf ears in a national political scene that was not ready to break with precedent. In any case, she suggests, federal aid would have been met with hostility in the South, being perceived as an attack on the Southern way of life. Higher education institutions of learning didn’t escape from this either. Jacoby illustrates this with the story of South Carolina College at Columbia (now the University of South Carolina), which in 1820 was one of the young nations top ten colleges. But its President, Thomas Cooper, who boldly stated to the State’s legislature that, “students are sent here to inquire useful knowledge, not sectarian theology” was forced to retire along with all the staff members he had hired for religious heresy. In the meantime in the North, education was in rapid expansion with new educational tools being put into place such as the American Lyceum movement for continuing and improving the education of working-class adults, including women. This innovative movement never took hold in the South, where, Jacoby explains, the middle-class was just not sufficiently numerous. Furthermore, she continues, all intellectualism had been effectively chased from the Southern states à la Cooper. Even the southern elite were now taking pride in not being interested in intellectual pursuits. The frontier areas were somewhere in between this net educational fragmentation present between the North and South. Jacoby points to Abraham Lincoln, the man who would become the last self-educated US President, as an example. Indeed, Lincoln, who worked furiously to educate himself and who was a fervent admirer of another self-educated icon, Benjamin Franklin, is often put forward as a model of the rugged, “self-made man” so dear to American folklore. “That Franklin was a genius and that Lincoln bitterly regretted his lack of systematic formal schooling is left out of the self-congratulatory story of American self-education”, adds Jacoby. Nevertheless this folklore of the self-made man would also play a role in the American point of view on intellectualism and be used to justify the non-support of educational program funding. “[Men who] grow up in libraries, believing it is their duty to accept the view which Cicero, which Locke, which Bacon, have given; forgetful that Cicero, Locke, and Bacon were only young men in libraries when they wrote these books. 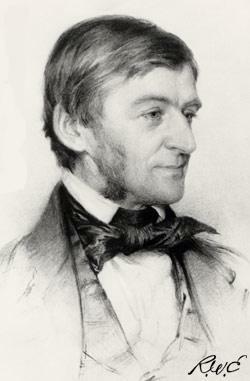 Emerson respected both the idea of formal education and the idea of encouraging everyone to aim higher. As Jacoby puts it, “Emerson’s message to Americans was not that they had nothing to learn from the past but that they must be prepared to make their own contributions to the sum of cultural knowledge”. But despite this, the culture of anti-intellectualism had already woven itself deeply into the fabric of American society. Jacoby’s historical perspective will continue during the coming chapters. But already we’ve established the perfect foundation on which American anti-intellectualism and anti-rationalism will be able to build a virtually impenetrable fortress of mediocrity. It’s obvious, or at least it seems so to me, that the enormous missed opportunity at this starting point in our nation was the non-integration of a nationalized education system. Yes, the United States was already a relatively big country compared to its European counterparts. Yes, the level of self-governance accorded to the states was surely difficult to work against. And yes, regional cultural and fundamentalist religious influences were inevitably extreme rubbing points for the young nation. But, with hindsight, none of these things should have stopped nationalized education. In the First chapter, Jacoby had used the example of Italy. There, as in France (and if I’m not mistaken, all of Europe), all children are exposed to the same, centrally—and yes, intellectually and rationally—established curriculum. Italians speak of two italies: Northern Italy where the majority of Italian industry is located and thus the wealth, and Southern Italy where the culture is rural and poor and the Mafia is still largely in charge of things. Nevertheless, every child in Italy has the chance to have a correct intellectual education. That doesn’t mean that education problems don’t exist; poverty always has a crippling role, in education as in life and all nations suffer from native poverty. But in Italy as in the rest of Europe, being born in a poor area doesn’t sentence you to what we could easily call an “anti-education”, as it does in the U.S., pretty much still today. To continue the comparison, Italy, like the United States is a laic country, with nevertheless an extremely strong religious presence. But you’re going to have a really difficult time finding an Italian who believes that the universe really was created in 6 days, or that the moon really is a source of light because the Bible says so. The very big number of devoutly religious Italians have a rational understanding of the role of religion as, not an explainer of phenomena, life and the universe, but a source of spiritual guidance. This educational rampart against ignorance could have been integrated in the United States as well, but this opportunity was missed and Americans are paying for it today and it may very well bankrupt them in the future; the rest of the world is getting smarter and smarter while America continues to get stupider and stupider. Local control of education in the United States is a sacred cow that needs to be shot and fed to the dogs.